Applique is a less familiar craft than the last few have been and my experience with blanket stitch is extremely limited so this isn't perfect - but I don't mind. Which is good because I'm usually a perfectionist and it's nice to find some not-perfectionism. I chose my colours and got to work. I wanted a more electric blue but couldn't find one, I think this one turned out very well all the same. 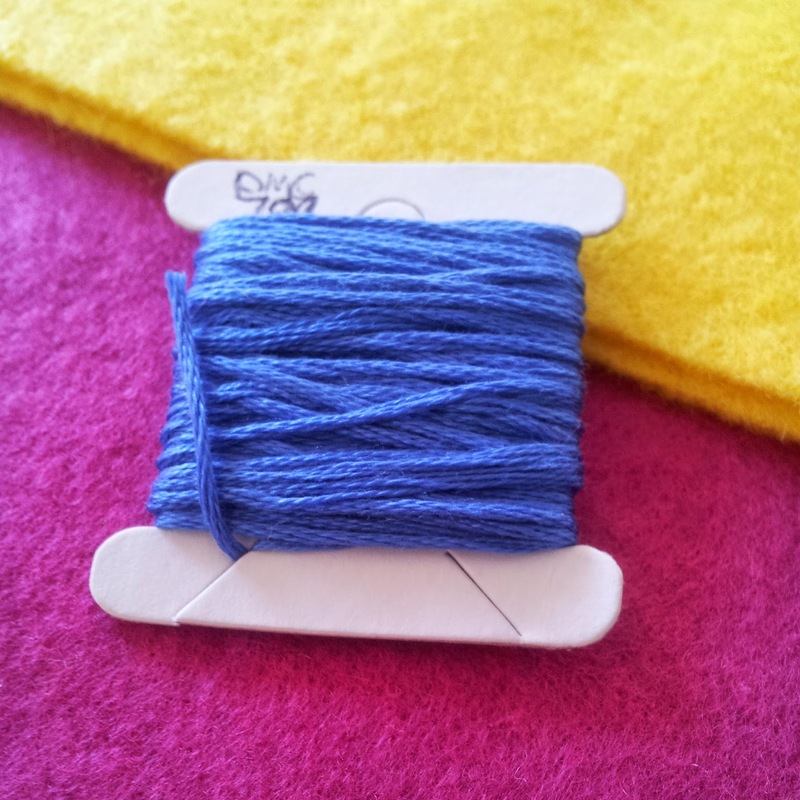 I chose felt over fabric to avoid fraying issues. As with the other letters I didn't use a pre-made template but worked my own out. I had to adjust it a little and if I want to do any more small felt cut-outs I'll need to get a more suited set of scissors (an xacto knife just didn't work out). Edit: slightly further on than tomorrow, perhaps... I chose to use a very fine canvas. No regrets as the progress is looking great but it's 4x more work so please bear with me!